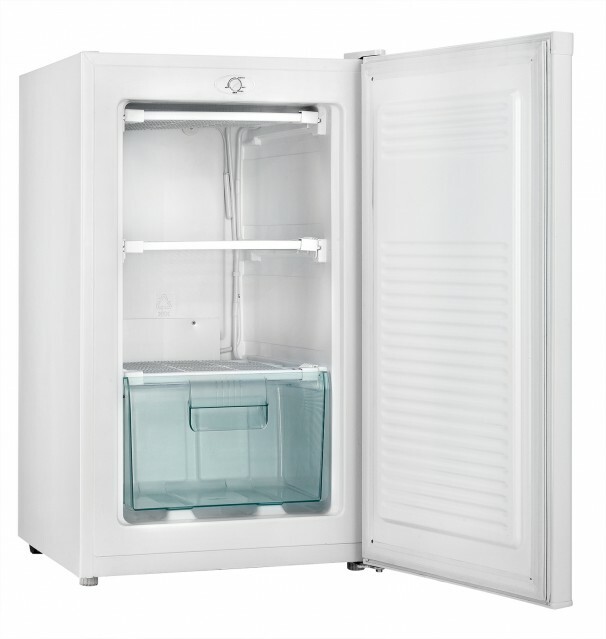 Freezing your assorted groceries, leftovers, and ice cubes is a pleasure with this user-friendly compact freezer from Danby. 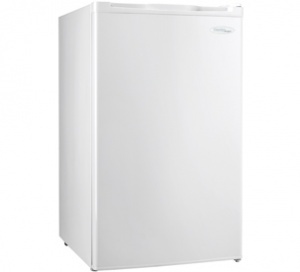 This sturdy upright model offers 2.6 cubic feet (75 liters) of freezing space and is the perfect size for apartments, condos, lunchrooms, trailers and cottages. 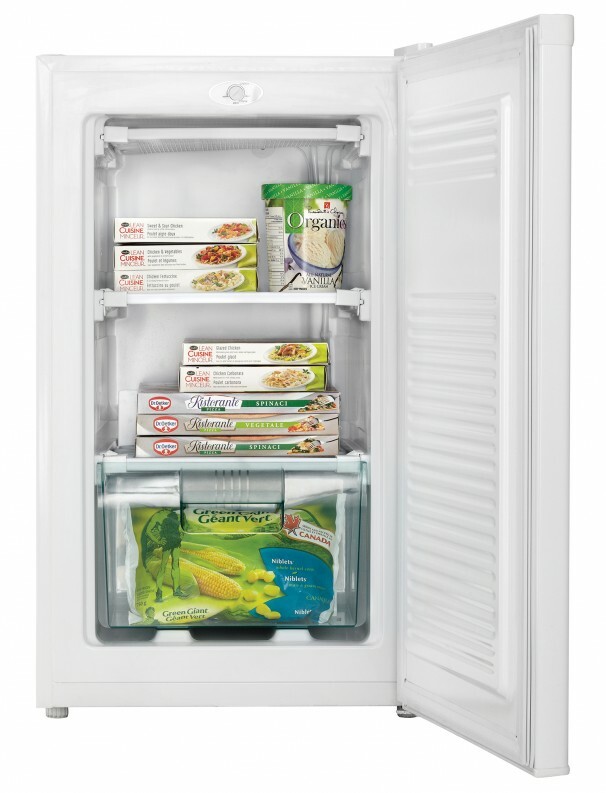 The smart manual-defrosting system and mechanical thermostat make this appliance extremely easy to use and maintain. 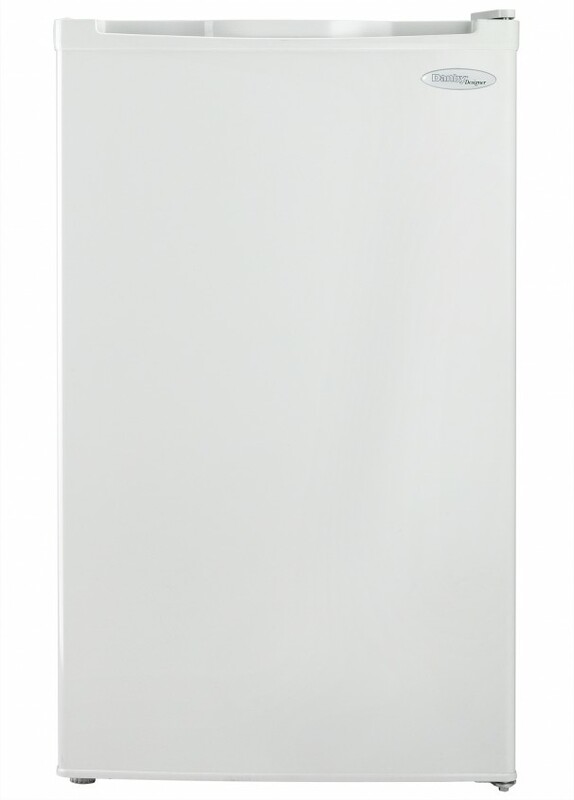 It comes with a variable temperature range of -18°C to -25°C (0°F to -13°F) and the smooth back design enables you to conveniently install it flush against any wall. Interior organization is made simple with the two durable quick-freeze shelving units while the integrated door handle and classic white finish provide a touch of style. It doesn’t matter if you’re left or right-handed since the clever adjustable and reversible door hinge is designed to open either way. This popular model also comes with an 18 month warranty on parts and labor with carry-in service for peace of mind.